1. What brought you to running? Two reasons. First, I’ve always had this crazy ambition to run a marathon. Ever since I heard that 99% of people never run a marathon, I fancied being in that 1%. I’ve been thinking about it since I was at school and I thought I’d do it by the time I was 30. Well it didn’t happen, so last year as I was heading rapidly towards my 40th birthday, I thought ‘It’s now or never.” After missing out on the London Marathon, I now have a spot in the Edinburgh Marathon next year. Second reason? An incentive to quit smoking. After my son was born, I realised it was unlikely I would see him even reach 30 unless I stopped. The running helped with the quitting, and the quitting helped with the running – although in all honesty I’m now 100% confident I’m over the evil stuff. 2. How long have you been running? Nike+ will say I’ve been running since 2006, but to be honest my runs were nothing more than a token gesture until Summer 2011 – when I thought I should do something to get rid of that middle age spread. In total I’ve recorded 1159 miles since 2006 – with 564 of them coming in 2012. It’s kept my weight down and make me feel a whole lot better about myself. 3. 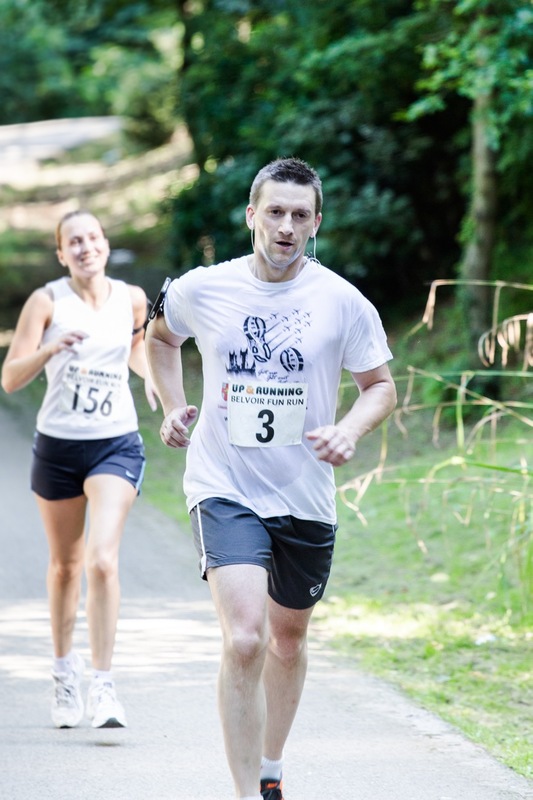 Which criteria did you use to choose races you have run thus far? More than anything, I’ve chosen runs close to home! I work shifts and with a toddler running rampant (now joined by a 3-week old baby), I’ve had to limit how far I can travel to events. I’m not bothered whether races are flat or hilly, big or small, so far it’s just been about what’s available to me. 4. What would be your dream race? 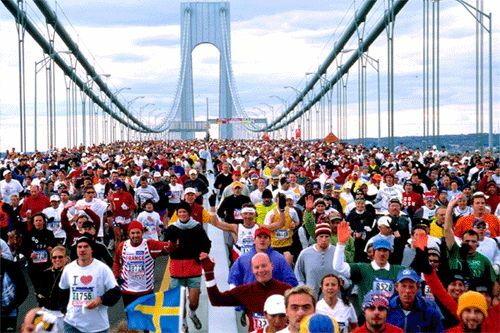 New York Marathon. Why? Well, it’s New York! And it’s a marathon! 5. Is there a running athlete/personality you look up to? 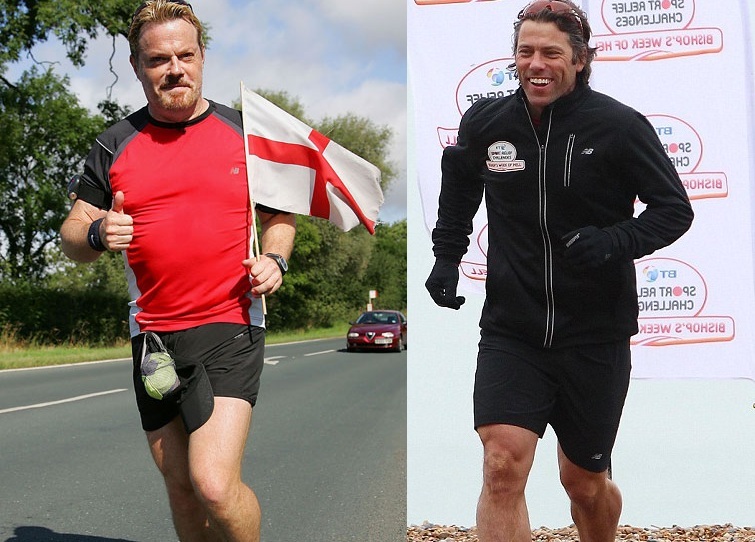 The comedians Eddie Izzard and John Bishop and their amazing achievements for Sport Relief. Eddie ran 43 marathons in 51 days, and John cycled, rowed and ran nearly 300 miles from Paris to London in five days. They gave me the final kick up the backside I needed to get out there and run. If they can do that, surely I can run a marathon?! 6. What is your race day kit? What shoes do you run in? In all honesty, I wear what’s comfortable. I tend to sweat like a pig (I’m always blinded by sweat by the third mile of a run), so I normally wear a long sleeved Helly Hansen base layer under a light running tee (usually a Nike Dri-FIT) and Nike or Adidas shorts, although I’ve not long invested in some running tights for the Winter months. On my feet I currently have Nike Free Run 3, but they’re coming towards the end of their life. I love how light they feel (straight away my pace and distance improved), but I’ll probably go with more cushioning next time. I won’t necessarily go for Nike, it’s just they’ve worked for me so far. I record my runs with the Nike Running app for iPhone; I love to listen to music if it’s safe to have headphones on (Sennheiser CX 300-II buds which have lasted me years and still sound great), but it’s not a necessity. I also have the Endomondo app running as well, in case the Nike app fails (it did once). 7. Who amongst your non-running family and friends would you love to convince to begin with running? My girlfriend, although it’s been a little tricky for her over the last nine months! She used to run a while back and I know she would enjoy it again if she got back in the swing of it. 8. And how would you convince them to run? To be honest, I don’t think I’d need to! She knows how I feel at the end of a race and how running makes me feel in general. 9. If you would run for charity, what organization would you support? 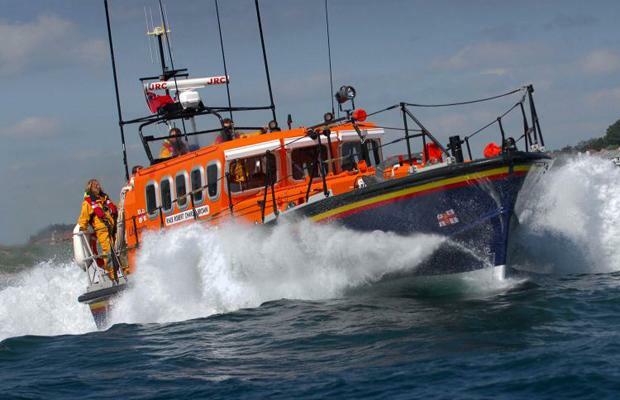 RNLI. I’ll be raising money for them (but not running for them, if that makes sense) when I run the 2013 Edinburgh Marathon. I’ve been a member of the RNLI for about five years. In 2011 they rescued almost 8000 people at sea, putting their own lives on the line for others – and they do it for free. Heroic stuff. 10. What races in UK would you recommend a foreign runner (for 5K, 10K, half and full marathon)? Sadly due to shift work and children, I’ve only managed to get to 10K runs so far. Most of these have been fairly low-key affairs, but earlier this year I ran the Lincoln 10K Road Race. It’s a huge event, not so much in numbers (limited to 5500 places), but in everything else. The whole city seems to come out to watch, the Red Arrows fly over and the finish line is in the castle grounds! It’s a proper festival atmosphere and I’d recommend it to anyone.